Who do you call when you need a plumbing company? Choosing the right Lakewood plumber for your property is crucial. Having an inexperienced group of plumbers come to your home could mean you’re waiting several hours for even simplest plumbing services. Don’t just choose a Lakewood plumber at random. We guarentee you will not be disappointed by choosing Lakewood’s plumbing experts instead. At John’s Plumbing & Pumps, Inc, we’re different than the average plumber. With more than six decades in the business, we know to address your residential and commercial plumbing needs. You’ll see the difference when you choose us as your plumber Lakewood. We’ll be on time for the appointment, get the work done quickly and double-check to make sure there aren’t any other serious problems. John’s Plumbing & Pumps is your Plumber Lakewood! We offer commercial plumbing services too! 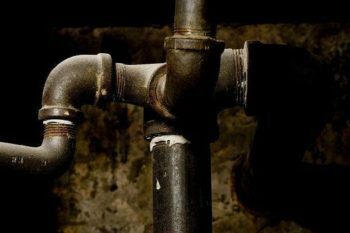 Commercial plumbing can get extremely complicated quickly, especially if you have a larger storefront or have a building that’s multiple stories high. Fortunately, we have knowledgeable commercial plumbers on staff perfectly suited for commercial jobs. If you have a business that relies on water in order to function properly or require it in order to serve customers, call the expert commercial plumber Lakewood. We’ll send someone over immediately so you and your plumbing can get back to work! Can you do plumbing on my farm or rural property? Some plumbing companies only know how to work on one type of plumbing system, such as residential plumbing on city water. But at John’s Plumbing & Pumps, we’re versatile. We can work just as easily on septic tanks and private wells as we can when your water system is connected to your local public utilities. Our crew can do a variety of septic repairs including pumping and draining, replacements and repairs, as well as additional plumbing services! Clogged toilets and sinks are no match for this plumbing company! 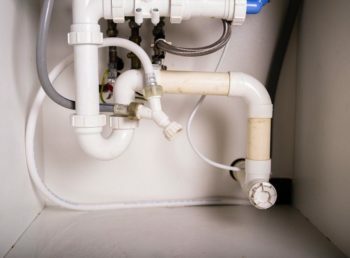 If you’ve expended all your options and the plunger and chemical drain cleaner aren’t doing the trick, it might be time to call your local Plumber Lakewood. You have an unusual obstruction. Toilet paper and wipes are designed to break down in water. Other materials aren’t. Plumbers have found all kinds of strange objects in toilets, and if the clog isn’t a biodegradable object, it can be extremely difficult to remove the clog on your own. Roots have gotten in the way. Over time, the root systems of trees grow and expand into an expansive network. And sometimes, your pipes get in the way of this network. Occasionally, the root system can break into the pipes and cause leaks or act as a clog that won’t go away by conventional methods. The clog is deep in the system. Often, at home drain cleaning products can take care of clogs, even when they’re deep within the pipes. But not always. Sometimes, you need something that will go into the drains and pull it out. We have a variety of rooters and drain snakes on hand just for this kind of situation! Call us for any kind of job, big or small, and we’ll be there!